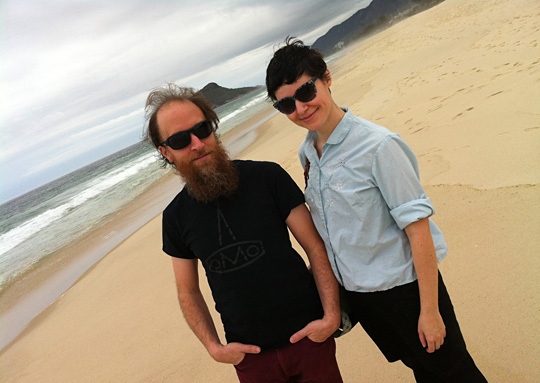 Nadja is a Canadian duo made up of Aidan Baker (guitar, vocals, drum machines) and Leah Buckareff (bass, accordion, vocals) alternately based in Toronto and Berlin. Originally began as a solo project by Baker in 2003, Buckareff joined Nadja in 2005 to bring the project out of the studio and into live settings. 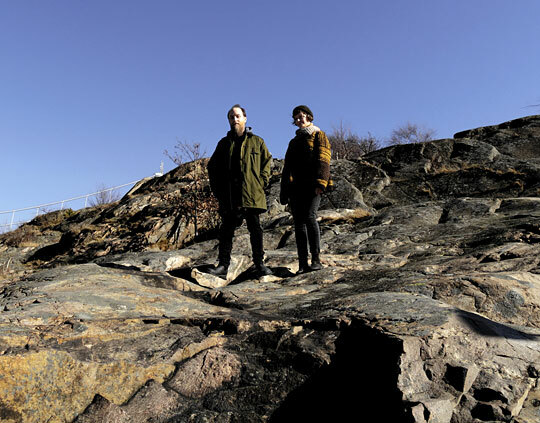 Together, the duo creates music which has variously been described as ‘ambient doom’, ‘dreamsludge’, and ‘metal-gaze’, combining the atmospheric textures and elements of shoegaze and experimental/ambient music with the heaviness and volume of metal and noise music. Nadja has released numerous recordings on such labels as Alien8 Recordings, Hydrahead Records, Beta-Lactam Ring Records, Robotic Empire, and their own fledgling label, Broken Spine Productions. Toured and performed extensively around the world, appearing at such festivals as SXSW, FIMAV, Roadburn, and Unsound. 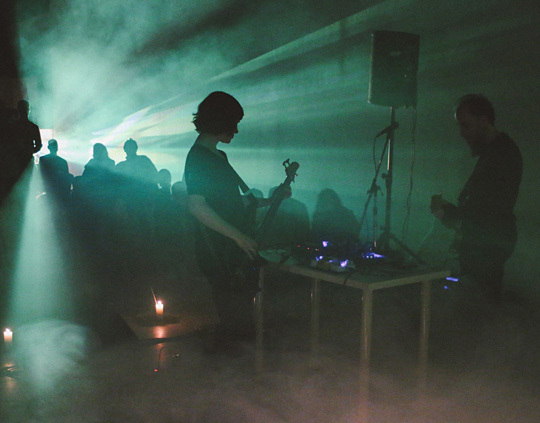 They have shared the stage with such as artists as Tim Hecker, James Plotkin, Khanate, Grouper, Earth, Francisco Lopez, Isis, Om, The Grails, KTL, Z’ev and many others. In addition to Nadja, Baker is also active as a solo musician and a writer. He has released many solo albums and is the author of four collections of poetry. Buckareff is also the owner-operator of Coldsnap Bindery, a production house of handmade books, and curator of The Wunderkabinet, a wandering exhibition of art, craft, and curious.